Phycology Section activities focus on ecology and taxonomy of freshwater algae, particularly diatoms. We seek to better understand the distributions of algal taxa throughout the U.S., and the environmental factors influencing both the occurrence of taxa over large scales and the composition of assemblages at individual sites. We are particularly interested in applying knowledge of algal ecology to the assessment of a wide range of environmental issues, but primarily those related to water quality of rivers and streams. 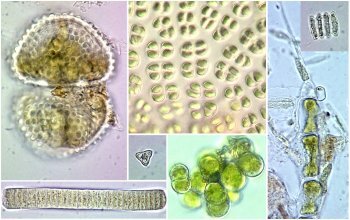 Because there are so many algal taxa, because they live in a wide variety of habitats, and because they have specific ecological requirements, algae are excellent ecological indicators, particularly of water quality. 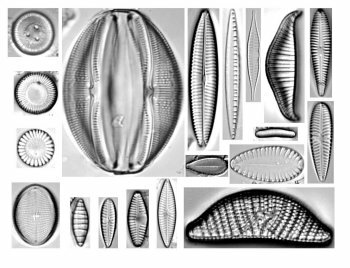 Diatoms especially have a long history of use in ecological assessment. 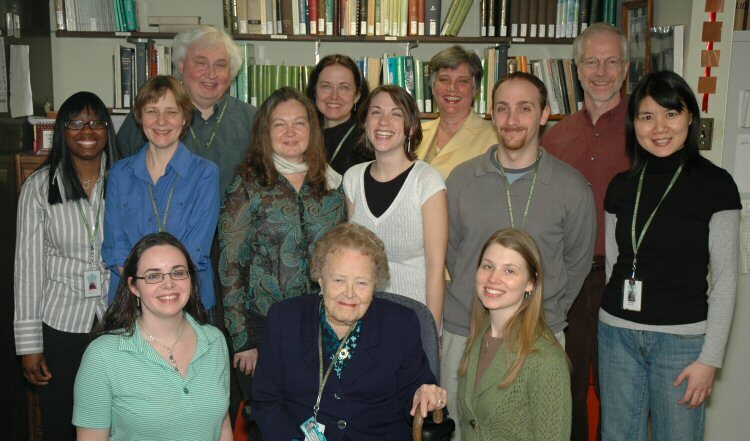 Dr. Ruth Patrick, founder of the Patrick Center, performed important pioneering research on use of diatoms for biomonitoring starting in the 1940s. USGS National Water Quality Assessment Program (NAWQA), US EPA’s lake and stream National Aquatic Resource Surveys (NARS), and NSF’s National Ecological Observatory Network (NEON). In addition to sample analysis we use algal data to assess ecological conditions, quantify ecological characteristics of taxa, create and evaluate metrics, and help develop nutrient criteria. One of our largest projects was a Cooperative Agreement with the USGS NAWQA program to analyze algal samples from throughout the U.S. From 1995 - 2012 the Phycology Section and its subcontractors analyzed over 8,000 samples. Results were distributed to NAWQA biologists to help assess ecological conditions. We also analyzed national distributions of taxa and used NAWQA's environmental data to quantify ecological characteristics of taxa, and develop new indicator metrics. On a more regional scale, we are working to develop algal indicators of nutrient conditions in New Jersey streams for the NJ Department of Environmental Protection. Some of this involves use of the Biological Condition Gradient approach to develop nutrient criteria possibilities. To help disseminate information from our studies, we developed this Phycology Section website. The data currently accessible from this site include publications, our lists of taxa names, Algae Image database, the Diatom Paleolimnology Data Cooperative (DPDC) database, autecological data sets. Information in our databases on individual taxa are available through the “Taxa” menu. The Phycology Section has high quality facilities and equipment. Some are shared with other PCER Sections, which also provide valuable services (e.g., water chemistry analysis). We have a wide variety of field equipment for taking algal samples (water samplers, sediment coring equipment, boats), a separate laboratory for preparing algal samples and making diatom slides, a microwave apparatus for digesting diatom samples, six high quality research microscopes equipped with digital cameras, local access to scanning electron microscopes, and an extensive reference collection of taxonomic and ecological literature - both in the laboratory and the Academy Library. Algal analysts work near the ANSP Diatom Herbarium (largest in North America) and consult regularly with its curator, Dr. Marina Potapova. All Phycology staff have personal computers connected to the Academy network. The section developed and maintains several applications and databases, including the North American Diatom Ecological Database (NADED), which contains count and other data on over 25,000 samples.